Arcola Research is a limited liability partnership (LLP) – an independent research organisation based in London and established in 2007. It works in the following areas: technology development; evaluation; social science research; organisational development; project management. The organization works on a ‘distributed’ organisational structure. It has five core partners and is supported by a network of around 25 Associates in a range of EU countries. In addition, it belongs to an extensive network of international institutions, researchers and evaluators that gives access to a worldwide knowledge base and community of practice. The participation of different organisations and people from this network depends on the nature and scope of the specific research being carried out. Arcola Research LLP provides research, evaluation and consultancy services. It works across a number of sectors – including health, criminal justice, youth issues, social inclusion, education and training, technology development – and for different kinds of clients, including government, the private sector, NGOs and community groups. Arcola has co-ordinated and participated in a range of EU-funded projects, including FP programmes, Lifelong Learning Programme, Tempus Programme, Policy Support Programme, Prevention of Crime Programme, Erasmus+ and H2020. UNIR iTED – the Research Institute for Innovation and Technology in Education, of the International University of La Rioja (Universidad Internacional de La Rioja; UNIR) works on selected scientific and humanistic fields of study with particular focus on Information and Communication Technologies (ICT) applied to education (Technology-Enhanced Learning) and Innovation in Education. UNIR iTED works on a number of research lines, which are mutually complementary the most relevant to the Comanity action being Adaptive and Collaborative Learning, Learning analytics, Design, publishing and distribution of digital multimedia and interactive contents., Implementation of multiplatform and multi-device learning resources and methods, eLearning standards, interoperability and systems integration, Social learning and learning networks, Visual environments for user model authoring, and content authoring, Use, modification, implementation and evaluation of ICTs in the classroom, with a special focus on didactics, learning strategies and teaching methods. The Municipality of Perugia is a public authority that manages a territory of about 450 square km. The City Council, as a body in direct contact with the citizens therefore, plays a role in the direct management of some services and provides help and support in some fields. The Administration is organized into 8 sectors and 24 sub-structures with n. 1343 employees. Each structure carries out similar activities and provides services directly to citizens including: land protection, childcare facilities, security, urban mobility, social services, cultural and sporting services. To this must be added and innovative services to assist the economic and business of the city, in addition to tourism and the protection of the historical and artistic heritage. Some services are managed directly by the offices while in some cases we make use of external companies or directly to the associations of citizens in accordance with the principle of horizontal subsidiarity. The Lifelong Learning Platform (LLL-P) is an umbrella organisation that gathers 43 European networks active in the field of education and training, coming from all EU Member States and beyond. Currently these organisations represent more than 50 000 educational institutions (schools, universities, adult education and youth centres, etc.) or associations (involving students, teachers and trainers, parents, HRD professionals, etc.) covering all sectors of formal, non-formal and informal learning. Their members reach out to several millions of beneficiaries. Established in 2005, LLL-P promotes a vision of lifelong learning based on equity, social cohesion, active citizenship and personal development. The platform works as a space for knowledge exchange between its member networks and uses their expertise to discuss and feed in EU policy-making, making sure that European citizens have their voice heard. In that sense LLL-P contributes to a better understanding and dialogue between the grassroots level and European institutions. KETHEA is the oldest and largest organization in Greece offering drug free treatment services to drug addicts and their families. It was established 35 years ago, when in year 1983, Ithaki, the first Greek therapeutic community for drug addicts started its operation. KETHEA obliges to an equal human rights policy. Its programmes address almost all types of addiction including alcohol, gambling and Internet addiction and cover a wide range of services including street work programmes, counselling services, therapeutic community programmes, family support, education and training programmes, legal support and vocational guidance. KETHEA also runs community-based prevention and early intervention programmes, therapeutic communities and self help and mutual help prison programmes. Its services are free of charge. The organisation has special consultative status with ECOSOC, UN and it is a full member at the World and the European Federation of Therapeutic Communities and other allied organizations. Società Cooperativa Sociale BorgoRete (SCSB) was founded in February 2007, from the merging of two social cooperatives, both founded in 1979 The two cooperatives progressively extended their fields of work and their aims, seeking to reconcile opposing values and practices, such as localism and the wider perspective, paid and voluntary work, the theoretical ideal and practical reality. Nowadays, the cooperative BorgoRete employs 160 people in the region of Umbria as paid staff and less than 20 voluntary people. Borgorete’s mission is to promote social competences at the level of the community, its main objectives are: Promoting social integration particularly among the most disadvantaged groups in the social, social-health and educational domains; Raising the awareness of the general population of social justice issues to promote human rights and combat the most common factors of discrimination and social inequality; Promoting the “cooperative” model as an original and successful social enterprise model; Valorising and recognising the value of each member both as a person and as a worker, promoting participation in the life of the cooperative and guaranteeing advantageous working conditions, professional growth and continuous learning. Set up in 1997, Docklands Outreach (DOC) is a health and preventative social inclusion agency providing comprehensive services to young people, children and families. The organisation specifically work with those who are affected by mental health challenges, alcohol and drug misuse, crime, poor sexual health, youth violence, anti-social behaviour, and other related social, mental or physical issues that can lead to risk of harm and social exclusion, in the London Borough of Tower Hamlets. It’s services are free, confidential and available for all children age 3-10 and young people age 14-21, regardless of gender, race, ethnicity, religion, sexuality or background. DOC offers a range of practical and therapeutic support to meet the needs of individuals. Key services: street and community outreach, engaging and supporting hard to reach vulnerable groups, who do not access mainstream provisions routinely. 1-2-1 advocacy support around specific needs and those ready for more structured support, counselling, Cognitive Behavioral Therapy (CBT), parenting support, workshops and discussion groups. In order to facilitate the European Innovation Quest, our Company is bringing together an extended network of affiliated European and international researchers and experts, deploying the capacity of this intercultural and sophisticated human capital, to effectively address the challenges of smart and inclusive growth in Europe and across the world. The affiliated experts are carrying the legacy of a long-run research and innovation work with an extended network of European bodies, from education, research, social innovation and the industry, in order to address the challenges of the 21st century societies, from the grass-root level to the policy-making one. The company Mind2Innovate (registered MindInn PCC) is based in Athens, Greece, becoming active all across Europe while supporting the agenda of the significant reforms with Greece’ s bail-out programme (of Financial Assistance), starting with the labour market and the education and training systems. We need to deploy these forty-year “good practice” in Europe, by becoming a collective body of know-how building and deployment (delivery), and facilitate and provide the much needed innovative solutions. It is to the Mind2Innovate‘ s scope to work constructively, both in Greece as well as in the rest of Europe and the world, in order to bring up sustainable solutions, in terms of human and social capital developments, for the multi-cultural societies of the 21st century. 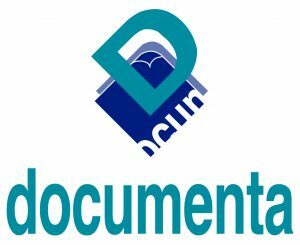 DOCUMENTA is a non-profit organisation founded in 1996 with 20 years of experience and over 60 EU projects implemented. It is actively involved in processes of social inclusion, labour market integration, learning methodologies and guidance, mainly oriented to improve employability and skills in different targets: adults +45, long term unemployed, young entrepreneurs, early school leavers, and generally groups at risk of exclusion. The design and implementation of a complete itinerary on training/integration has allowed the organization to deploy an expertise which covers from the analysis of training needs to the design and delivering of both classroom and distance learning for different groups through design and definition of new professional profiles. Active in many networks such as Metronet, ITER, SOFI, Monneta, European Civic Forum, etc. or European Antipoverty Network in Cantabria (EAPN Cantabria), the organisation develops an intensive work in empowering and integration of groups at risk of exclusion. LEGAL: The European Commission support for the production of this website does not constitute an endorsement of the contents which reflects the views only of the authors, and the Commission cannot be held responsible for any use which may be made of the information contained therein.